The setter is the hub of your offense. She sets the team’s rhythm, helps attackers get in a flow, filters information and makes critical decisions about who to set. As coach, it’s your job to train your setter to be your team’s court leader. 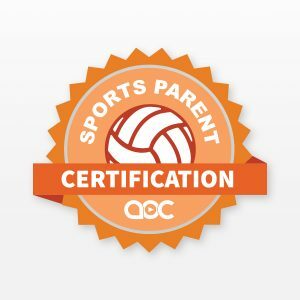 In the Setter Coaching Certification, you’ll get access to 4.5 hours of detailed training instruction from Christy Johnson-Lynch, a former two-time All-American setter and the winningest coach in Iowa State history. Topics covered include hand and body positioning, executing different sets, jump setting and dumping, fooling the block, fixing common errors, designing plays, decision-making, setter psychology, and how to use video and stats to help your setter. To win matches, you need a strong offense. You can’t have a strong offense without a skilled setter. The problem is that many coaches simply don’t know how to train setters effectively. After all, a setter does much more than launch balls to hitters. She sets the team’s rhythm, helps attackers get in a flow, filters strategic information to teammates, and makes critical decisions about who to set each time the ball comes over the net. 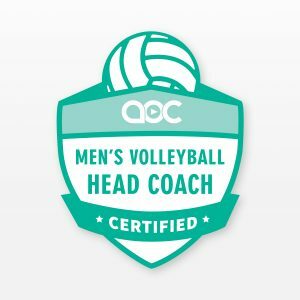 In the Setter Coaching Certification, you’ll learn beginner to advanced techniques that will boost your setting knowledge—knowledge you can use to turn novice setters who struggle to run plays into smart, savvy court captains your team rallies around. When you subscribe, you’ll get instant access to 4.5 hours of instruction, video analysis, diagrams and drills from Christy Johnson-Lynch, a former two-time All-American setter and the winningest coach at Iowa State University. You’ll also get transcriptions of each lesson, exclusive 24/7 access to the “members only” online forum, and, if you’re a premium member, unlimited entry to the expansive Art of Coaching Volleyball library where you can view an additional 1,500 coaching videos and download valuable coaching resources. We realize it can be hard to fit a certification course into an already busy schedule. That’s why we made it self-paced, so you can go through it as quickly or slowly as you want. If you’re time-starved, you may want to watch just one or two videos at a time. If you find yourself with a large block of time, you’re welcome to tackle the entire program in one sitting. Either way, the faster you work through the program, the sooner you’ll improve your offense. Imagine your setter running quick sets that boost your kill count. Or earning an easy point with a well-placed dump. Or fooling a cheating blocker with a set to an open attacker. It’s all possible with the insider secrets you’ll find in the Level 1 Setter Coaching Certification. Christy’s Setting Toolbox: Get inside the head of a setting master. Christy shares training tips, skill-building drills and offensive strategies that will improve your setters’ abilities and lead to a better offense. 24/7 “Members Only” Forum : Talk it up with fellow coaches. With exclusive 24/7 access, you can ask questions, share stories, and get support whenever you need it. Log in anytime from anywhere. All-Access Pass: Unlock the full Art of Coaching Volleyball library at no extra cost! Premium subscribers get access to over 1,500 coaching videos, clinics, practice plans, printable worksheets and more.